A biography with a difference. 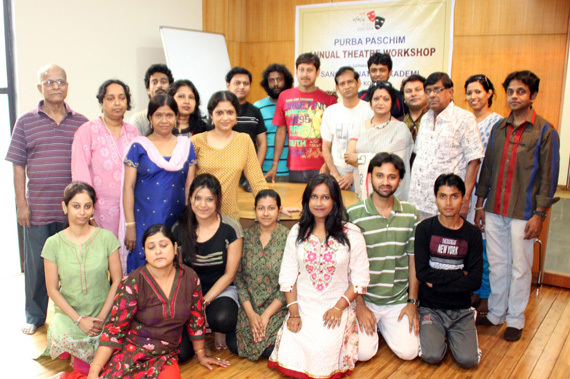 Purba Pachim completes its 10th years in 2014. 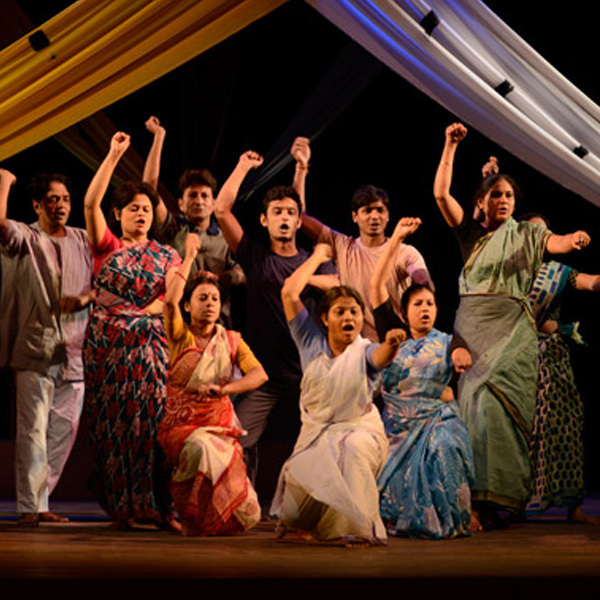 A decade is not a very long path for a group theatre , but Purba Pachim has been able to keep a significant mark and we are indeed proud of such glorious past. 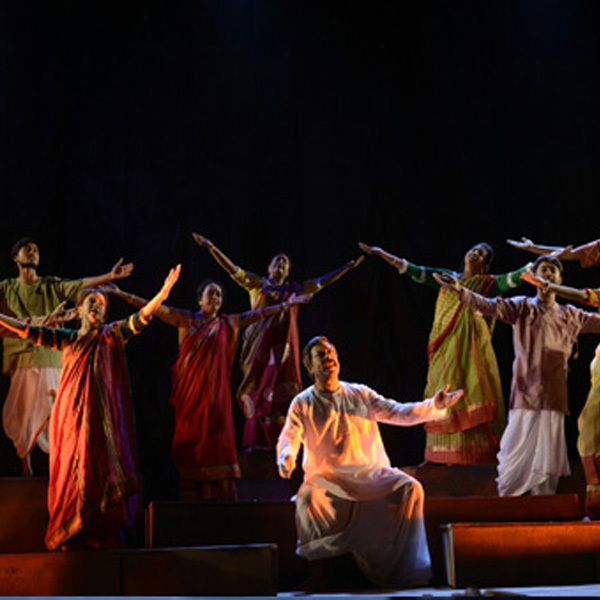 This play is homage to work and life of the pioneer of Bengali stage, Girish Chandra Ghosh (1844-1912). 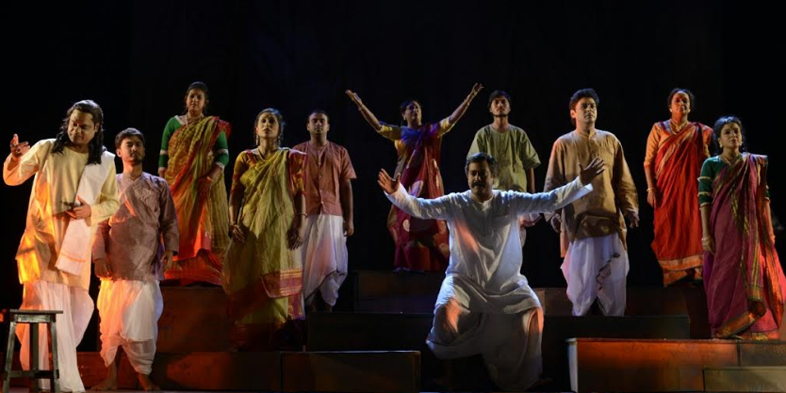 This play considers different junctures of Girish’s life and his life in theatre and portrays agony of a creative soul in the canvas of the major plays acted and written by Girish. 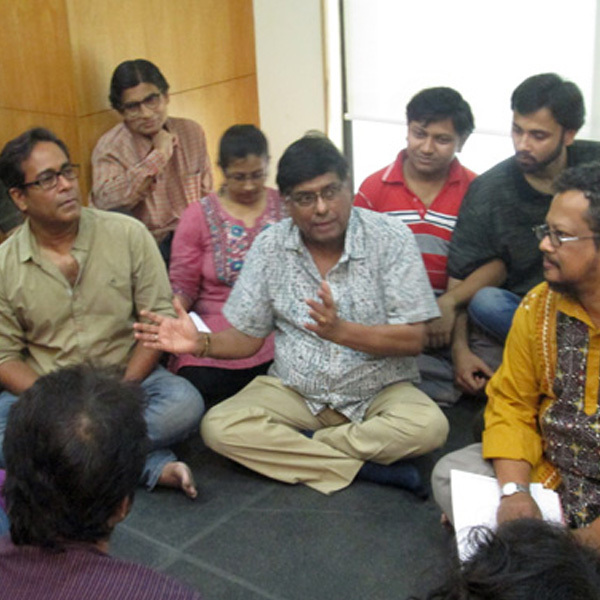 Founded in 2005, Purba Paschim since its inception has tried to give a professional outlook to the contemporary Bengali theatre. 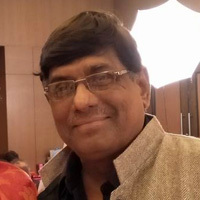 There is no permanent theatre director of the group but the aim is to produce versatile productions under the guidance of renowned theatre personalities. To fulfill the motto we have invited five major theatre personalities and various other creative personnel, of national repute from different filed of art and culture. Apart form the productions, yearly publication, interaction, seminar, play reading sessions, workshops are other objectives of the group. To meet all this criteria financial support is absolute necessary. Though we have received help and support from the Ministry of Culture, Government of India and other corporate houses but to make a better theatre for tomorrow these funding are not sufficient. Purba Paschim always acknowledges these supports through advertisements in various ways, like publicity through hoardings, ticket, brochure, and also website. The keen interest of the younger generation inspires us for a better theatre for a better tomorrow. Copyright 2018 - Purba Paschim. All Rights Reserved.